What is the purpose of the Rigger Safety Boots? Rigger Safety Boots were initially designed to be used by workers on offshore oil rigs, but these durable boots can be used for a variety of purposes. 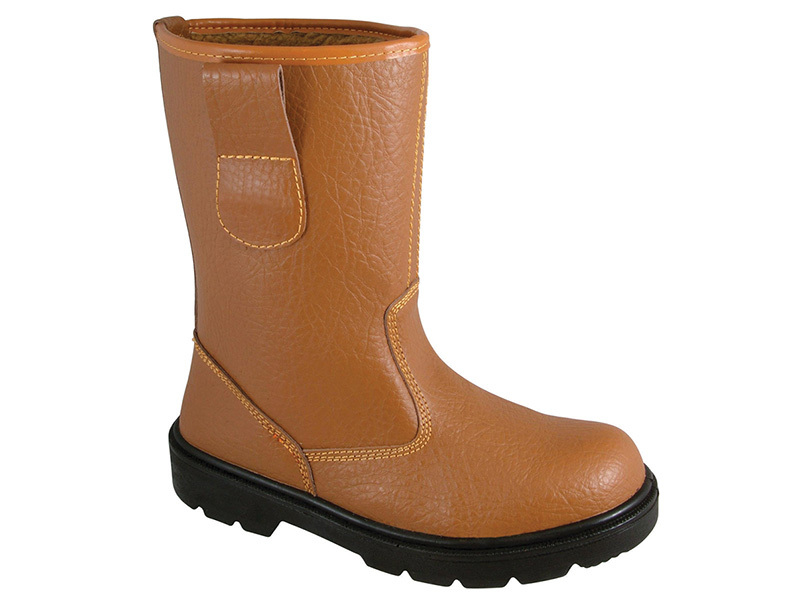 The tan exterior, pull loops and fur lining are part of the classic rigger boot design. These boots have been improved upon for comfort and safety. They come with a protective steel midsole and steel toe cap. The well-constructed boot is built for both safety and security. The double density, polyurethane (PU) shock absorbent sole provides increased the shoe's resilience and shock absorption. The lower layer is more solid with minimal expansion room, while the upper layer provides a soft, cushion with air pockets for maximum shock absorption. The Rigger Safety Boots can be used for a variety of tasks on oil rigs, at construction sites and warehouse working environments. The fully moulded, removable insole ensures a proper fit, as well as ease of care and maintenance. 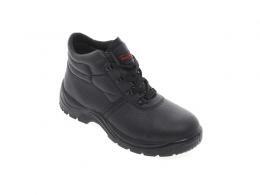 The steel toe and reinforced midsole ensure high performance, safety and stability. This boot is fully fur-lined for soft comfort and fit. Triple stitched on the upper portion, the seams are strong and durable. The Rigger Safety Boots are ideal for workers on oil rigs, warehouses, construction sites and employees of the shipping and delivery industry. 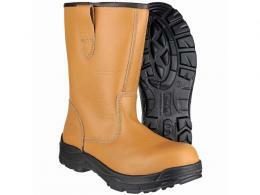 The wide fitting design guarantees a proper fit for a variety of foot shapes, and the boots are available in six sizes. They provide the ultimate in security and comfort for your feet. Our Rigger Safety Boots come standard with a one year warranty. We also offer free delivery and easy returns. At The Workplace Depot, we offer a price promise. If you find the same unit on another site for less, we will match the price, guaranteed! 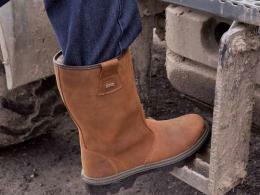 These boots have been assigned a safety rating of: EN20345 SB–P SRA.